Watch full One Piece Season 15 Episode 30 English Dubbed full HD online. 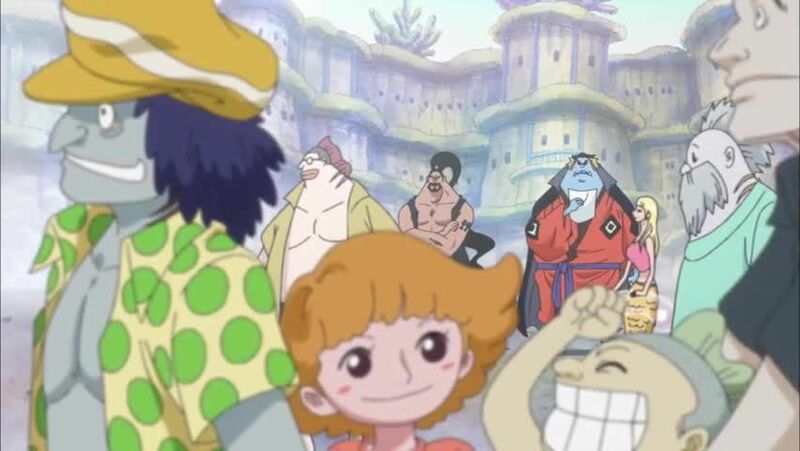 One Piece Episode 546 English Dubbed online for free in HD. At the Ryugu Palace, Vander Decken proposes to marry her by using the Tamatebako in an attempt to make Shirahoshi age. Otohime returns to Fishman Island with a signed paper from the Celestial Dragons supporting her cause. The queen persuades the island’s residence to sign her petition. She later tells Fukaboshi, Manboshi and Ryuboshi that the one who called the Sea Kings was Shirahoshi, and she cannot control this ability yet. The queen has the three brothers promise that they would protect their sister at all costs. Later, most of the signatures are burned. Just as Otohime attempts to save the rest of the signatures, however, she gets shot through the heart by Hordy, killing her. Before succumbing to her wounds, the queen requests her family will not resent the assassin and have bravery to achieve their goal.